Breadboard jumper wire 70pcs pack. Including 4 different length: 200mm,165mm,125mm and 80mm. Perfect design for breadboard. 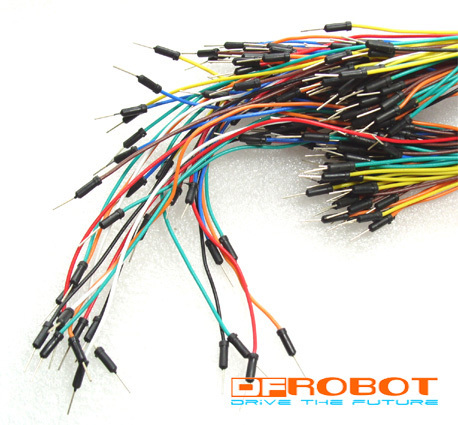 Get Arduino Jumper Cables from DFRobot Store or DFRobot Distributor.